I have a Theory of Constraints, that places with physical constraints (an island or peninsula) are more economically successful because the constraints force higher densities, and those higher densities create economies of agglomeration. The examples are San Francisco, or Manhattan, or Venice, and so on. People of course have less space at home (since real estate is pricier), but as a result, they are out and about more often, interacting and trading and creating. Caveat: This is at best drive-by urbanism, I didn’t do any investigative reporting besides citing Wikipedia and visiting and photographing. I don’t really know what makes Owatonna tick, but even at a short glance, some issues can be identified. Owatonna is [the county seat of] Steele County, Minnesota, United States. The population was 25,599 at the 2010 census. 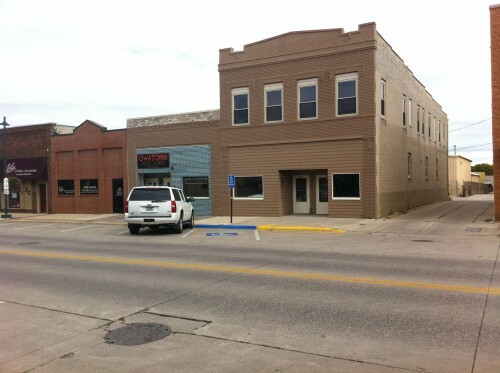 Downtown Owatonna [photos] appears economically the most successful of the four (Faribault, Owatonna, Albert Lea, and Austin) southern Minnesota main streets visited. The Main Street is mostly rented out. There were more people on the street. 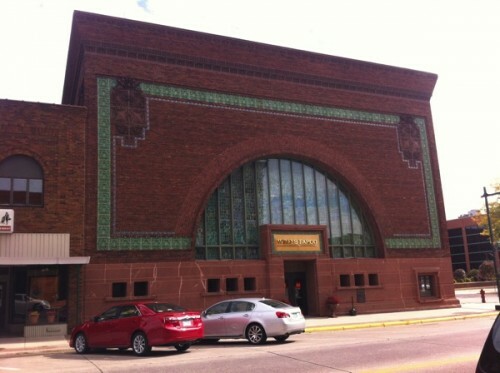 The anchor of Owatonna is the Wells Fargo Bank, which is a great piece of architecture originally designed by Louis Sullivan as the National Farmer’s Bank. The main square hosts Farmer’s Markets and attracts people to the center of town. Away from the heart of town, the land use and architecture gets a bit lower rent (as one might imagine). I have aTheory of Constraints, that places with physical constraints (an island or peninsula) are more economically successful because the constraints force higher densities, and those higher densities create economies of agglomeration. The examples are San Francisco, or Manhattan, or Venice, and so on. People of course have less space at home (since real estate is pricier), but as a result, they are out and about more often, interacting and trading and creating. One might expect binding man-made constraints to have the same effect. So if there were truly effective zoning or greenbelts or urban growth boundaries that forced concentration, there would be less developable spaces outside of downtown, driving more to the center, and making those places vibrant. The risk of course is that it might drive development away from the city altogether, to some other place. At any rate, Owatonna is rapidly growing, and has a lot going on, and has done a better than average job of driving, luring, keeping economic activity, especially retail, toward the center of town, but still the core is only a few blocks long before demand peters out. It is a town and not a city, but even as a town it sprawls a bit more than it should.